General Motors is working on a a new, compact Chevrolet unibody pickup. According to sources familiar with the project, the all-new model will be an indirect replacement for the Latin American-market Chevrolet Montana, which in some markets is named Chevy Tornado and Utility. 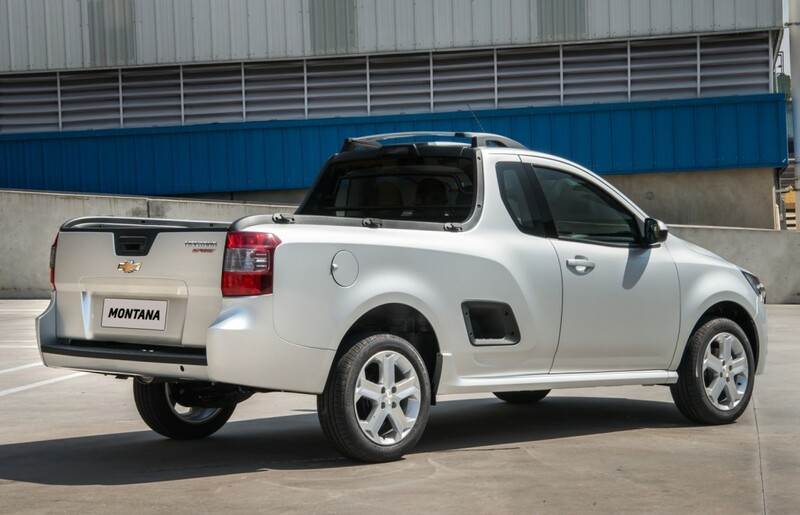 The compact pickup segment was (arguably) initially created by the Chevrolet Montana. The model was later joined in South America by the Fiat Toro (also known as the Ram 1000 in Colombia) and the Renault Oroch. The segment will grow still in the near future. In November, Volkswagen presented the Tarok Concept in Brazil. The model will launch by the end of 2019. Meanwhile, Hyundai is hard at work on the Santa Cruz and Ford is developing a new small pickup potentially called the Ford Courier, as reported earlier this month by our sister site, Ford Authority. The small Chevrolet unibody pickup will be based on GM’s new Global Emerging Markets architecture, otherwise known as the GEM platform. The project is part of the automaker’s goal to build a series of new vehicles for developing markets on the architecture, which is meant for low-cost offerings for developing markets. 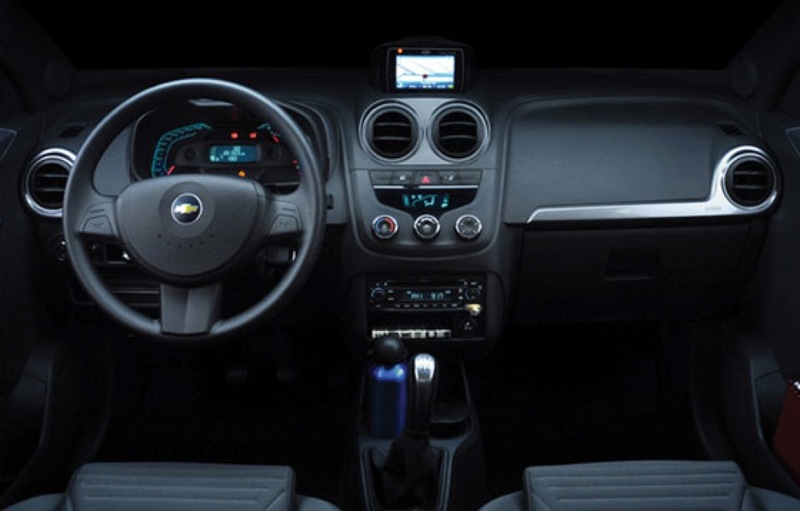 Other future GM models underpinned by the platform include Chevrolet Onix, Sail, Tracker, Buick Excelle, and many others. The future Chevrolet unibody pickup is said to be bigger and better than the current Montana, which is exclusively available in a single cab, two-door body style. That means that the vehicle’s passenger capacity is limited to two occupants – the driver and passenger. 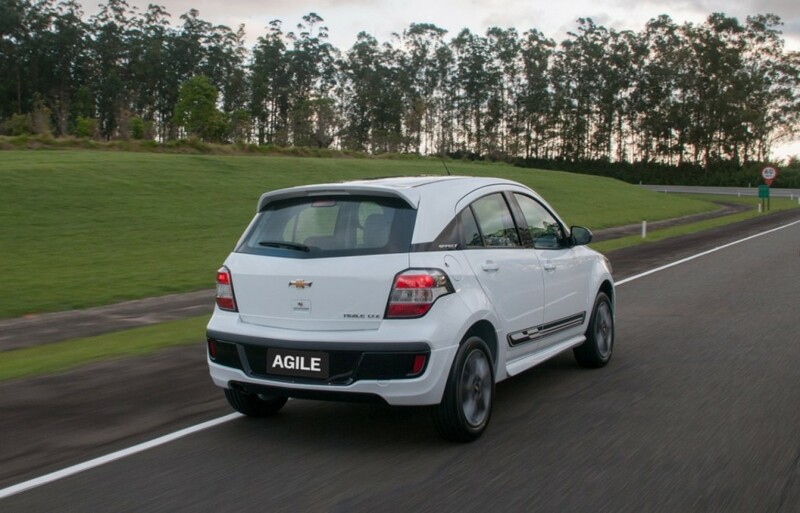 The current model is derived from a small hatchback – the Chevrolet Agile. The future model is expected to have a four-door body and use an extended version of the robust chassis of the next-generation Chevrolet Tracker (which will become a separate model from the future Chevy Trax). 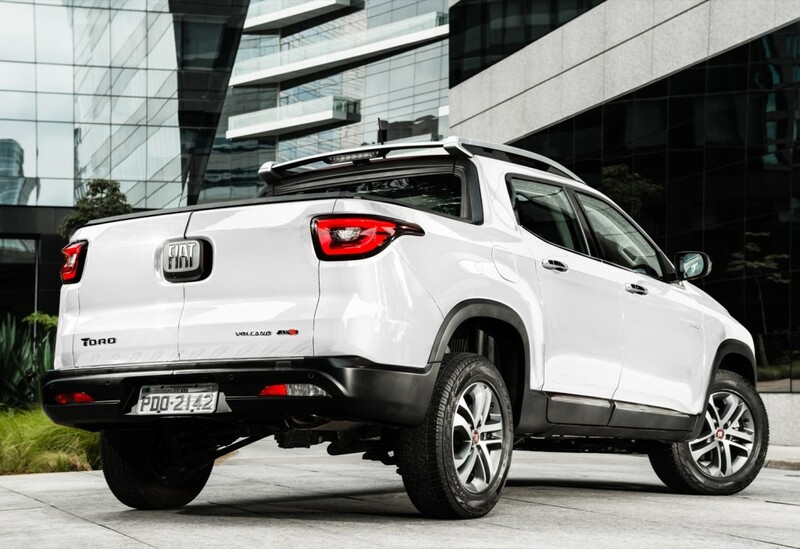 GM’s strategy to derive the unibody pickup truck from a small crossover would follow in the footsteps of aforementioned Fiat Toro and Renault Oroch, which are derived from the Jeep Renegade and Renault Duster, respectively. 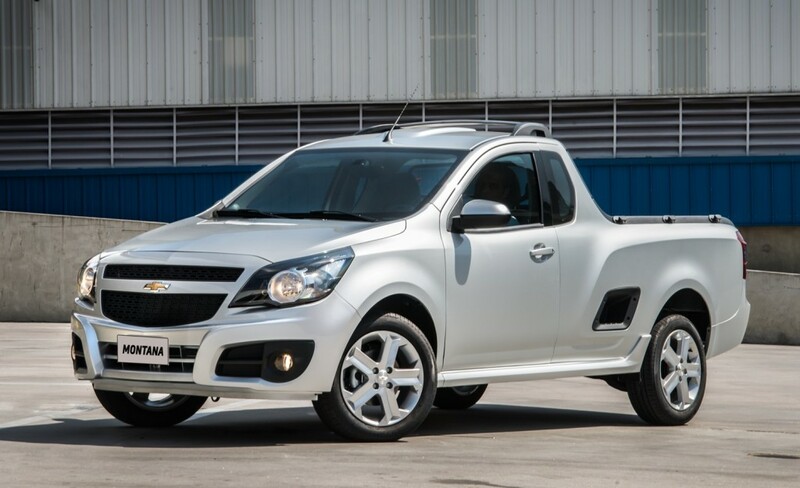 It’s worth noting that the future Chevy unibody pickup is being developed quite differently from other Chevy vehicles on the GEM platform: while GEM models are being jointly developed by teams in China and Brazil, the pickup model is being developed exclusively by GM Brazil. 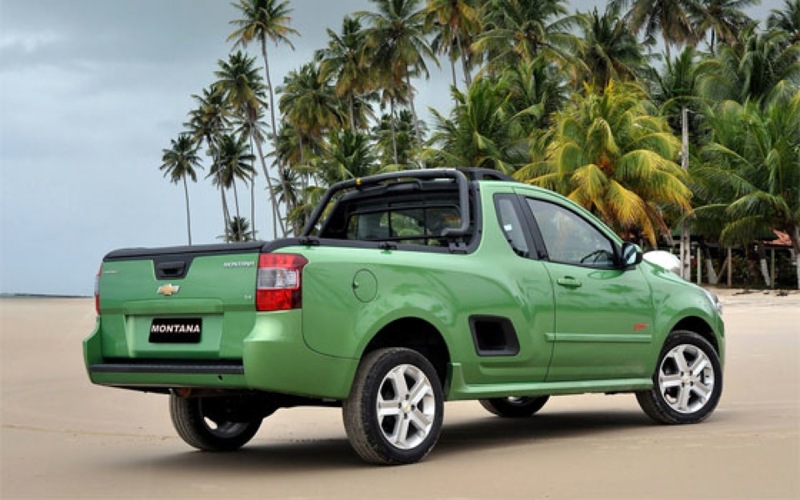 Putting GM’s Brazil-based design and engineering house in charge of the project makes sense given that the biggest market for the Chevrolet unibody pickup will be Latin America, which includes Central and South America as well as parts of the Caribbean. This discovery suggests that the model is not intended to be manufactured or sold in China, since GEM-based models planned for both China and Latin America are home-roomed in China. 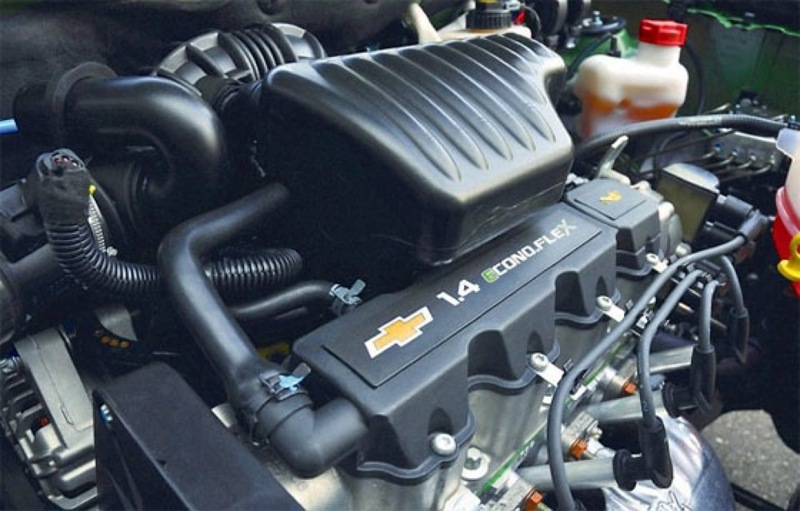 The small Chevrolet unibody pickup will likely be powered by the same engine that is currently found in the Chevrolet Cruze – the turbo-charged 1.4L I-4 LE2 good for 153 horsepower and 177 pound-feet of torque. The boosted four-banger will likely be mated to a six-speed automatic transmission. 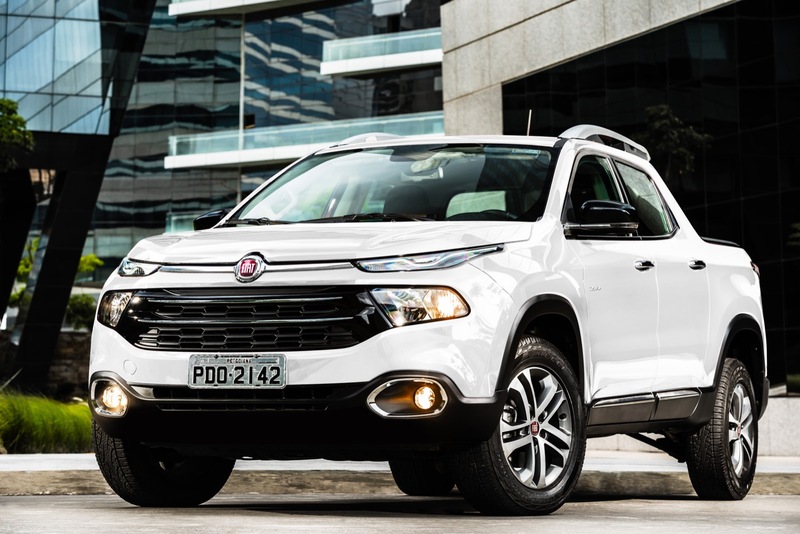 It is expected that this future, compact Chevrolet unibody pickup – whose name is currently unknown, but could continue being Montana – will be manufactured alongside the next-gen Tracker at the GM São Caetano do Sul plant in Brazil. 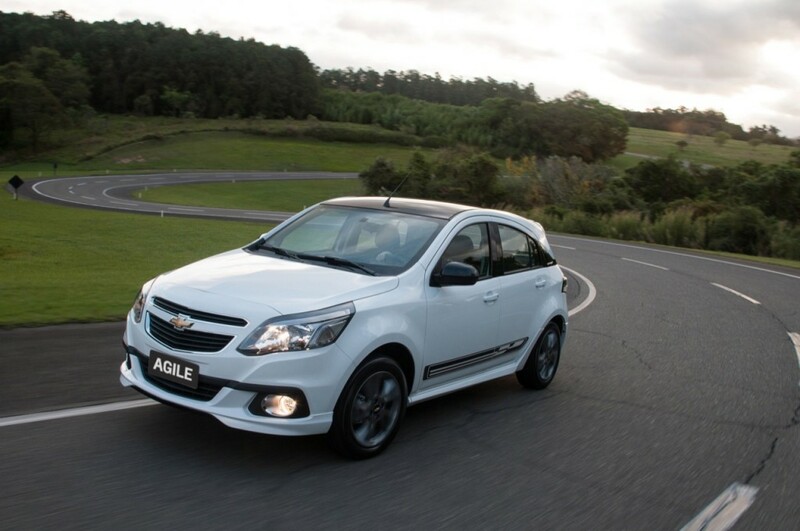 The 1.4L turbo engine powering it will likely be made at the GM Rosario plant in Argentina. Being one of the last models derived from GM’s GEM platform, the vehicle will likely go on sale some time in the 2020 calendar year. Its arrival should imply the end of the aging Chevrolet Montana, which is sold in some markets as the Chevrolet Tornado and Chevrolet Utility. The model will be available in Central and South America. Availability outside of those markets, such as in North America, is unlikely as of this writing. However, this could very well change in the future, given certain competitive and emissions factors. Stay tuned to GM Authority for the latest Chevrolet news. It might be interesting, but never will be sold in the US when customers are very happy to finance a Colorado for 6 years and 40k. There are customers happy to finance a $25K Montana for 5 years just as well… this is an untapped segment and should be interesting to watch. I don’t think anyone knows for sure how this segment will go. The Ridgeline took off and now sales are stagnant, is it the brand, type of truck, features or lack of etc. While some may test these waters others will be watching just as Ford did on the Ranger. But before major investments are made they will want to see just what interest is. Ridgeline is much bigger than what is alleged here in this article. Ridgeline is like a Colorado size. That doesn’t work in the marketplace. I bet if Honda bases next Ridgeline on Civic and not Accord, it’ll sell because of the price. I would wager this is engineered to hold the ability to bring it here in some form should the public shows interest in this segment. That’s the hope. But I wouldn’t bet on it. This is being done on the cheap “emerging markets” platform that’s pretty much the replacement for the Gamma 2 Light. None of those models would ever pass any kind of US crash test… and I see no reason to think otherwise of vehicles on this GEM platform. As usual, GM just misses the market and the point. The world is looking for a mid-size pickup with a long bed and no frills. A “stripper”, something that cannot be ordered anymore. A radio, clock, power dock and a heater and not much more. I have one, an ex-US Forestry vehicle, built in 1989 and it is still running strong at 250,000+ miles. It is the no-frills workhorse of the farmer, contractors and laboring men of America. Here’s your “stripper” and there’s nothing frilling about it! Makes sense as an EV to me, otherwise no interest. Make a small van and go after the Ford Transit Connect and Ram ProMaster City. Also not every business needs a full or midsize truck. Bring it, just change the looks. Call it the Chevy S-10 in my opinion. Active people will buy these up. Not everyone needs Rubicon Trail rated off roading vehicle or to be able to tow 10,000 lbs. Some just need a runabout that can haul some bicycles, skis, surf boards or just even some home improvement stuff on the weekends. Maybe be able to tow some water toys as well. Make a soft offroader as well like how Jeep does the Trail Rated for their CUV’s. They will sell enough of these to be able to make a profit from it. That’s an insult to the S-10 to call it an S-10. What happened to Chevy designers? This thing is hideous. I’ll be honest. I recently picked up a Colorado Z71. I really like it, despite a few small things that are missing. I don’t actually use my bed for stuff all that often. Mostly to take stuff and yard waste to my town’s public works yard. If I was able to find a nice, not abused Subaru Baja, I would preferred to buy one of those then lease a nice car or SUV. The Baja would’ve been both daily commuter and utility and the lease car/suv would be weekend/ travel vehicle. So I actually would be interested in something like this, and my trip to dealer could potentially be a twofer purchase. 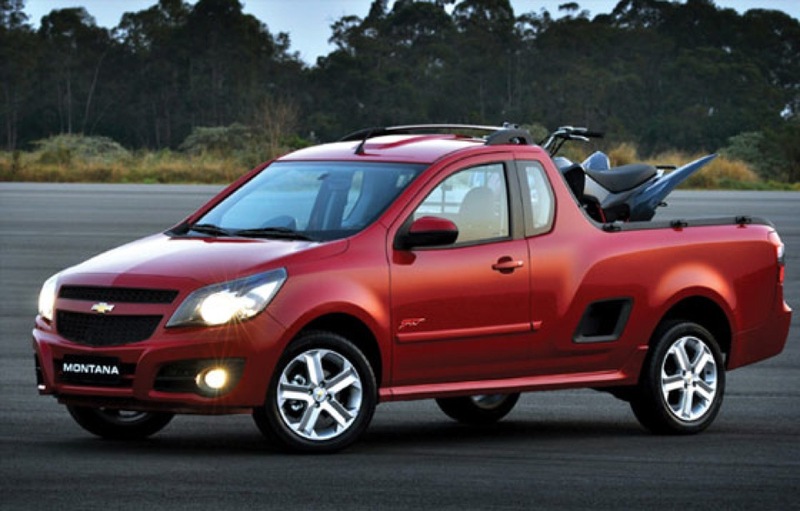 Chevrolet Montana competes with Fiat Strada and VW Saveiro. Ford also had its offering, the Courier. Fiat and Renault created the midsize segment in Brazil, not GM. According to Brazilian standarts, the Toro and Oroch are midsize while the current Montana is small.